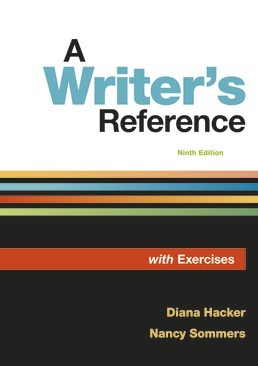 With an emphasis on critical reading and writing, Writer's Reference with Exercises helps build your confidence as a college writer. Emphasizing help that's personal, practical, and digital, the text helps you home in on your needs and clearly see your successes. Cutting-edge practice with writing, reading, thinking, and research residing in an engaging multimedia environment allows you to build your skills in a relevant environment.